Looking for a unique outdoors experience? 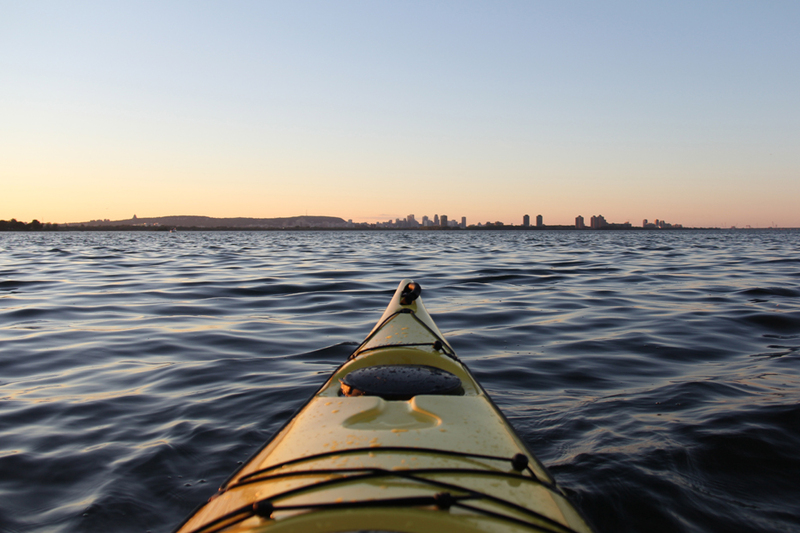 Touring Kayak is a great opportunity to enjoy the nature surrounding the Saint-Lawrence River. It’s the perfect occasion to escape the city…in the city for a few hours. You can tour three exceptional sites; Verdun, Pointe-Nord of Nun’s Island and the Recre-O-Parc of Sainte-Catherine. This spot is unique. 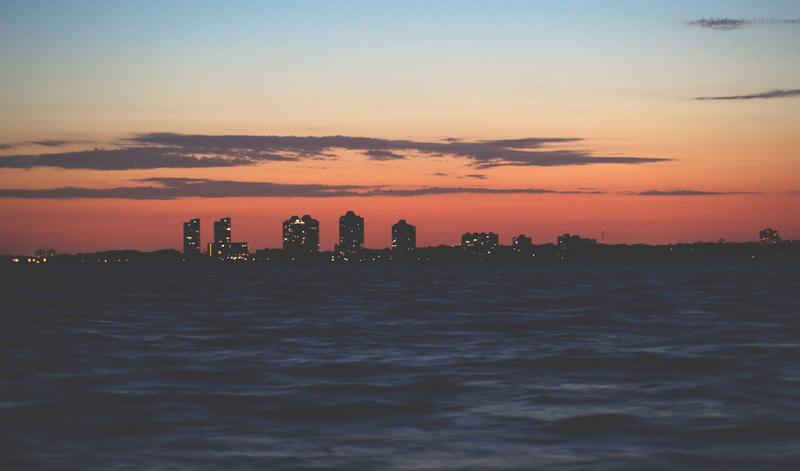 It is located downstream of Lachine Rapids and is known to be an oasis of peace. You will see downtown under a new perspective. The activity begins with an introduction to give you the time to get familiar with the equipment. Our professional guides will insure that you know the basics to be able to navigate alone. Prerequisites: Feel confident on the water. Participant must be 10 years old minimum; an adult must accompany children between the age of 10 and 16. 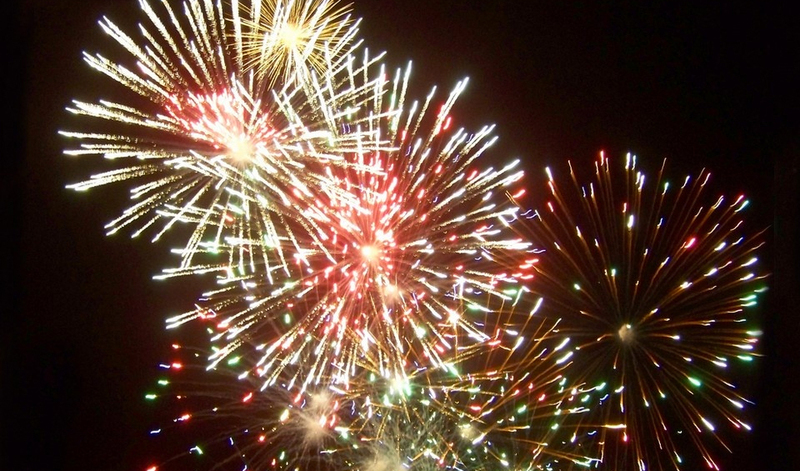 This summer, discover the magic of the fireworks of Loto-Quebec right off the banks of Pointe-Nord of Nun’s Island. From the water you will be able to contemplate downtown and the fireworks simultaneously. We offer two packages, including guides, you must attempt. The first one, leaving from Pointe-Nord, consists of a short but beautiful and stimulating ride and the other one is scheduled during sunset , around Rock Island, followed by a ride over to Pointe-Nord from where the fireworks are to be observed. DATES Saturdays and Wednesdays from July 8th to August 5th . 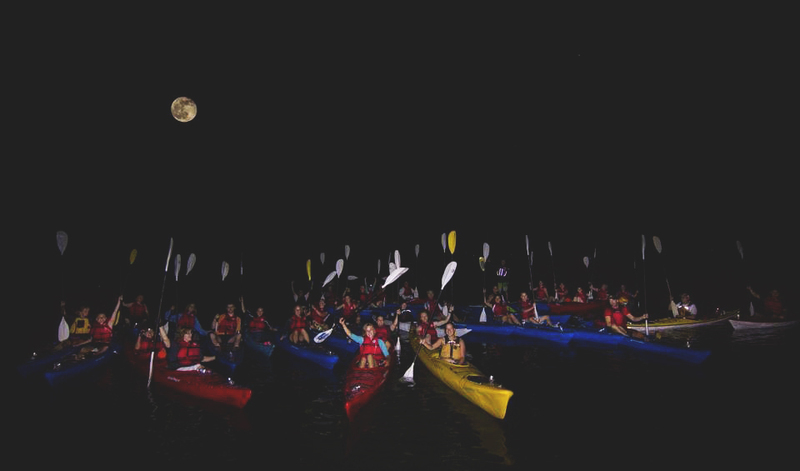 INCLUDED Kayak, paddle, life jacket, navigation lamps, surprise and radio; to hear the firework’s music. 18h00: Welcoming and shuttle departure at Pointe-Nord of Nun’s Island. We offer two guided expeditions during full moon nights, from our two different sites, Verdun and Pointe-Nord of Nun’s Island. Our hot summer’s day are perfect for tis activity and at night the city’s lights are a must see. You will start your activity at the sunset and will come back with the full moon light. Don’t miss this secure and unique activity that is offer only few times per summer. LOCATION Verdun and Nun’s Island.